What is the idea behind Ooredoo’s ‘Be Digital’ campaign? 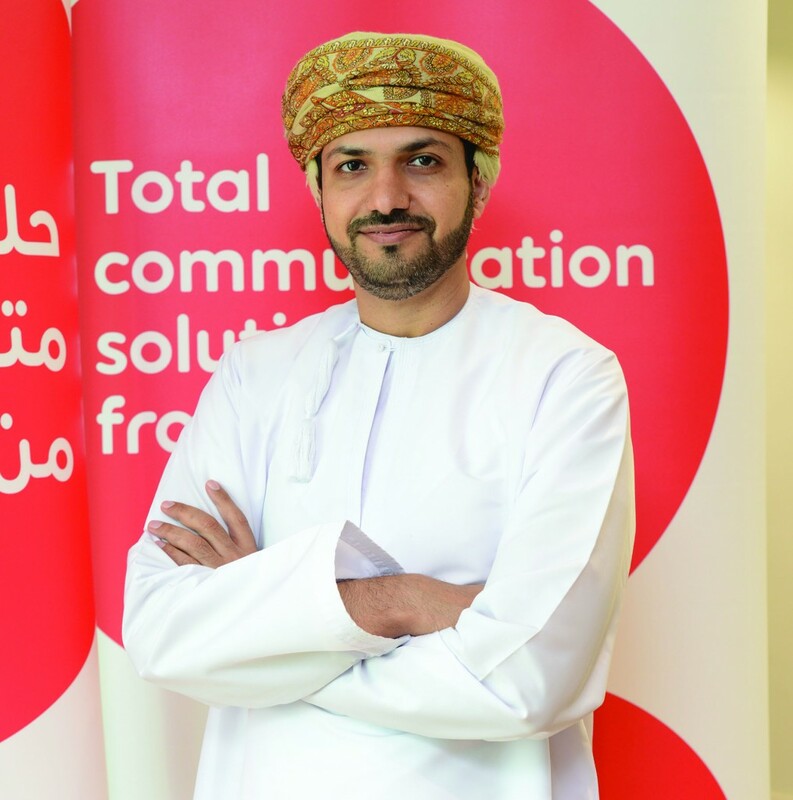 As a company, we want to raise awareness within Oman about the importance of digital transformation and this is not limited to having a digital offering but also about improved performance. People assume that going digital would translate into job losses, minimise manpower etc. but the essence of digitalisation is improved productivity and performance. Our vision with the ‘Be Digital’ campaign is to become the leading end-to-end ICT provider. This is the vision, and our mission is to enable the digital transformation of businesses within Oman. We started in 2017 by offering cloud services, basic infrastructure as a service and this year we will be going for software as a service (SAAS) like ERP, collaboration and e-mail services, which will for instance help SMEs to focus on their core business, leaving the telecom part for Ooredoo to handle. This will help them to optimise their spending without investing heavily on their infrastructure. They can go in for an OPEX model where they pay as they grow. Overall, ‘Be Digital’ is a campaign where we aim to offer multiple solutions. Ooredoo is offering solutions for three categories under ‘Be Digital’ – SMEs, Corporates and Government. Please share details of the support that you provide in each of these categories? For SMEs, the cloud solution that we have and the Internet of things (IoT) help these small enterprises to focus more on their core businesses. The business model that we are offering is a customised pack for SMEs, where we combine fixed, mobile and now even cloud services. This specific plan helps SMEs to get started in their business venture. For corporates, we offer digital assessment. A lot of companies want to digitalise their processes, but they lack the knowhow. We offer digital assessment for corporates. As Ooredoo Oman, we went through a similar process and identified as to where we want to be in the next three years and we can use this knowhow to help government and companies assess their digital maturity to transform their own businesses. This is where we can add value for our clients. Our cloud offering and IoT help them to work smarter. A lot of things can be done remotely. For example, I visited a mining company, which still sends people to the quarry to read metres. With IoT, this reading can be done remotely by using small sensors which can be calibrated to send data for different periodicities and since these batteries last for up to 10 years there is hardly any need for someone to visit quarries in person. With the e-government and digital transformation vision of Oman we have cloud as well as co-location services where they can host their data, without worrying about installing such infrastructure. A lot of government services now are going online, which necessitates such services to be available 24/7. This requires the right IT infrastructure to support such operations. This is where we step in by offering co-location and cloud services. 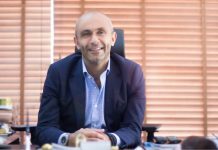 We have recently launched our own subsidiary called D2C or Data-to-Cloud with Monther Hamed Al Mamari as it’s CEO. This is a joint venture with some local investors, while the majority investor is Ooredoo Oman. D2C is building its data centre in Samail and other places. How will digitalisation help SMEs in the Sultanate? Apart from the ease of setting up, we are thinking of helping them with web design. We had a session with government entities responsible for SMEs to bridge this gap. A number of SMEs struggle with building a website, digital channels, ordering, sales force etc. A lot of these processes are difficult to implement. We are working with the Ministry of Commerce & Industry and Riyada to help SMEs. The telecom major provides cloud services and smart working services for Corporates and Government under ‘Be Digital’. Which is the cloud services platform that you offer and what do smart working services encompass? We are using our own data centre in Bausher to service the government. D2C’s future data centre will be in Samail and then there will be a transition. As there is an urgent need in the market, we decided to launch our own data centre to help SMEs, government and corporates to help their digital transformation. Second, we help them to optimise their IT and telecom spending. The data centre in Samail is in the design stage and will be up and running in 24 months. Can you explain the concept of smart working? This is like the mining example that I gave earlier. The water sector for instance employs hundreds of people to go physically and take readings, this manual process can be automated and the company can get accurate on time reading, saving on CAPEX or capital expenditure. The customer is happy as he gets better service and the company gets its revenues. Everything is captured on a system and not on a manual basis. This is the kind of service that extend as a part of smart working. The big data analytics is also a part of our smart working. If a company or institution knows it’s target segment it can institute smart services or big data analytics which is more targeted and adds value to clients instead of having a big campaign which confuses customers. Clients just need to tell us their target audience we can work out the relevant analytics based on the data that we have. In future we can analyse a client’s data, with the help of our data analytics team. This is being explored with some of our clients. Can you share the pricing structure of ‘Be Digital’ solutions for the three categories? Do you offer customised solutions or is it a one- size -fits-all service? As these are bespoke offers the pricing depends on the services that we provide. Our SME pack – Maktabi which includes fixed and mobile starts at as low as RO29 per month. For this price they get a modem, some mobile lines, unlimited minutes of calling between fixed and mobile lines and a fax line. We moved from a one size fits all approach sometime back to verticals like banking, oil & gas etc. and now we are doing customised solutions for companies. For example, we have done a customised solution for Nama Group. We extend such solutions as we believe that this is a part of our brand value of being simple, dynamic and optimistic. We offers customised solutions that are simple for customers to run, while we take care of the technical details. What is the customer service differentiation that Ooredoo offers for Be Digital? We have our business call centre and behind that is the dedicated Operations Management Centre (OMC), which is dedicated to serve B2B customers. They are the technical or after sales support service and the focal point of contact with the customer. They are assisted by various departments, with one of them being OMC. As this is B2B service, one of the focal points is the IT department which takes care of issues like router configuration, switch, immigration etc. We also provide managed services for devices, which takes care of after sales support. This relieves customers of these tasks so that they can focus on their core business. Can you give us a brief on your professional background? I am an engineer by training having graduated from Carlton University, Canada in telecom with a minor in business. 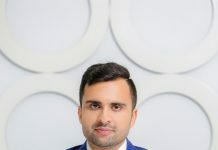 I worked with the government for nine years in IT, programme management and wireless communication, joined Ooredoo Oman and became a project manager for their fixed launch or WiMAX services. I did some business continuity functions, moving to infrastructure where I was in charge of data centres, fiber rollouts and mobile network. Last year I moved to business sales for a few months and then became the chief business officer. I am also currently a part of the National CEO Programme run by the Diwan of Royal Court.